Recently, Unze Valentines day shoes 2014 have been launched. Firstly, we would like to discuss the brief introduction of Unze as a brand. Well, Unze is considered to be well known and leading brand in Pakistan. Basically, Unze is a footwear brand and it has been working since many years ago. 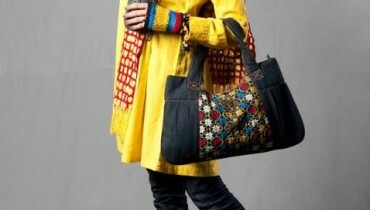 Apart from shoes, Unze provides handbags and other fashion accessories for women. We would like to mention that Unze showcased footwear collections under different categories like casual wear, party wear, formal wear, bridal wear etc. This fashion brand provides shoes and other fashion accessories for women. Because of this reason women always appreciate collections showcased by Unze. Apart from women shoes, this brand also provides shoes for men and kids also. Every year, Unze launched so many collections according to season and festival. Now, for Valentines Day this brand is back with its latest collection. Recently, Unze has launched its latest and exclusive Valentines Day shoes 2014 for women. This exclusive footwear collection 2014 has been specially launched for Valentines Day. This footwear collection 2014 is very stylish and elegant. Unze Valentines day collection 2014 includes high heel shoes and flat shoes. All the shoes have been designed according to latest trends. The most important point about this collection is that Unze only used one color i-e red in all the shoes. The reason is that red is the symbol of Valentines Day. All the Valentines Day shoes look really elegant and stylish. These Valentines Day shoes are ideal for modern women and young girls. They can wear these shoes as party wear for attending the Valentines parties. Few pictures of Unze Valentines day shoes 2014 for women are given below. This exclusive footwear collection is now available in all the outlets of Unze. If you want to see complete Valentines day footwear collection by Unze along with price range then visit its facebook fan page. The link is mentioned below. Overall, we can say that Unze Valentines day shoes are stylish and elegant.